Featuring a mix of Parota and Mango wood. This bedroom creates an exciting mix of hues in natural 100% solid wood. Clear lacquer coating allows the natural character and beauty of the wood grain show through. Mortise and tenon case construction. 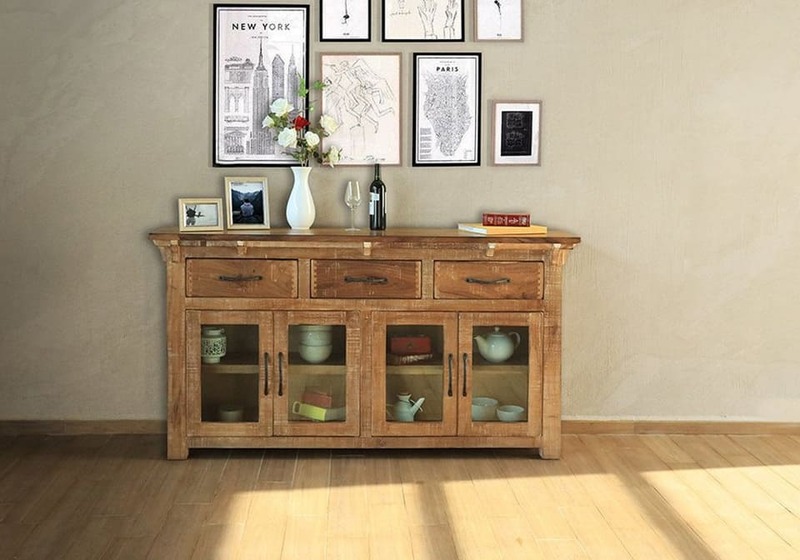 This console features 4 glass doors for beautiful display. Beautiful solid wood offers lifetime value and beauty. Solid wood joinery used in quality hand crafted furniture making. Beautiful natural Two toned wood shows through protective clear lacquer coating which is durable and easy to clean. This type of joinery has been used for years in quality furniture making. Ensures stability and durability on every piece.